Peachtree Publishing Company, 9781561451760, 188pp. Meet Misfits, Inc. Investigations: Peter, the genius; Jake, the athlete; Byte, the computer whiz; Mattie, the "magician." These four teenage super-sleuths have a knack for uncovering and solving unsolvable crimes.In their first case, the team bands together to clear Mattie's grandfather, who stands falsely accused of stealing a million-dollar computer chip from a local museum. 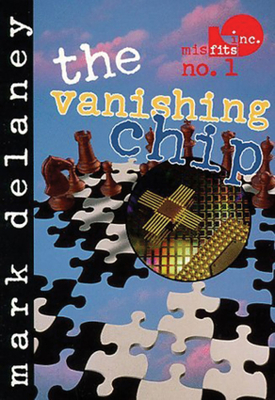 While the FBI and local police assigned to the case can't turn up any leads, the Misfits draw upon each of their special talents to lead them to the true thieves and solve the mystery of the vanishing chip. Featuring an engaging group of outcasts with varied interests, each book in the Misfits series offers an intriguing mystery, supported by Delaney's well-paced plot and believable dialogue, that will keep readers captivated to the very end.